The hearing in the PIL by BJP leader Ashwini Kumar Upadhyay seeking a ban on convicted individuals from forming a political party and becoming office-bearers on Monday saw an interesting exchange of remarks between counsel for the petitioner, the Centre and the Election Commission of India. 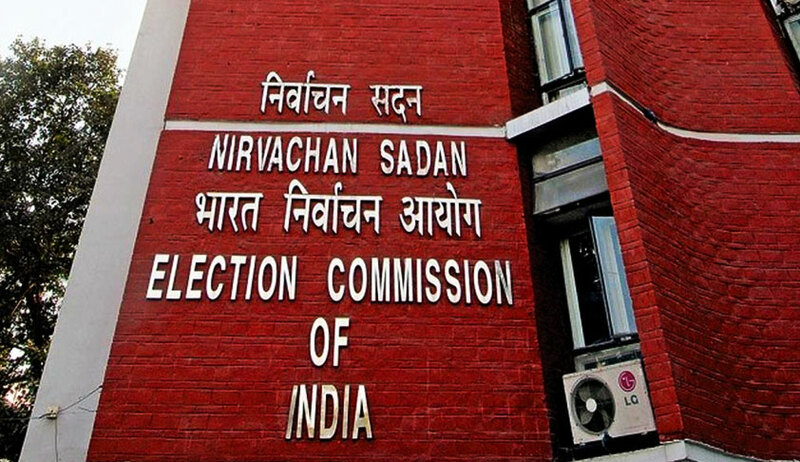 The petition involves the interpretation of Section 29A of the Representation of People’s Act of 1951 as to whether the ECI is empowered to derecognise the political party formed by a convicted person. “What is your stand,” inquired the Supreme Court bench of Chief Justice Dipak Misra, Justice DY Chandrachud and Justice AM Khanwilkar from ASG Pinky Anand. “As observed in Manoj Narula [Manoj Narula v. UOI (2014)], there is no such power to debar in any situation...also, Registration under Section 29A of the Representation of People’s Act of 1951 is not compulsory...,” responded the ASG. Section 29A of the Act of 1951 deals with Registration with the Election Commission of associations and bodies as political parties. “The judgment in Manoj Narula deals only with the Cabinet...,” intervened senior counsel Vikas Singh, appearing on behalf of the petitioner. In the aforesaid judgment, the writ petition assailing certain appointments as Ministers to the Council of Ministers of the Union of India, despite their involvement in serious and heinous crimes, was disposed off. It was observed that “it can always be legitimately expected, regard being had to the role of a Minister in the Council of Ministers and keeping in view the sanctity of oath he takes, the Prime Minister, while living up to the trust reposed in him, would consider not choosing a person with criminal antecedents against whom charges have been framed for heinous or serious criminal offences or charges of corruption to become a Minister of the Council of Ministers. This is what the Constitution suggests and that is the constitutional expectation from the Prime Minister. Rest has to be left to the wisdom of the Prime Minister”. “Can elections be contested without registration,” asked the Chief Justice. Ms. Anand replied in the negative. “Then? The fundamental question here is if an individual, having been convicted and hence disqualified from contesting an election, can form an association under Article 19...being a member of a political party is different...but we are trying to develop a process from democracy and determine whether a person, who is debarred from contesting an election, can head a political party and consequently decide on the candidates who shall contest the election...,” remarked the Chief Justice. “Even the convicted individuals are not debarred forever but only for a specific period...,” the ASG sought to submit. “I am surprised that the ECI, being a constitutional body in which the superintendence of elections is vested under Article 324, would not have the power to decide...,” advanced Advocate Gopal Sankaranarayanan, also making a reference to Section 41 of the Act of 1951 barring persons disqualified from being MPs or MLAs or voting at elections from acting as election agents. “40% of legislators are likely to be convicts...this is why there is a resistance to any kind of probity...,” submitted Singh. The matter is scheduled for final disposal on May 3. “…the post holder of any party is not a ‘representative’ (in terms of RPA)…the appointment of a post holder to a political party is a matter of party autonomy and it may not be apposite to preclude the EC from registering a political party merely because a particular post-holder is not qualified to contest elections,” the Centre had said in its affidavit filed before the apex court. “…having regard to the existing provisions of law relating to ‘registration of political party’ there does not appear to be any connectivity or nexus between the situations debarring the persons disqualified under the (Representation of People Act, 1951) Act and/ or convicted under criminal law from contesting an election to Parliament and/ or state legislatures vis a vis debarring such persons from forming or becoming a member of any political party…,” it said.